Pass the CELTA | What are the Benefits of Earning the CELTA Certificate? The #1 internationally recognised TEFL qualification. Teach anywhere in the world… Spain, China, Chile, you name it! Become pretty much recession-proof. TEFL teachers are always in demand. Meet loads of new people with diverse cultures. Become a MUCH better listener, communicator and planner. Help people to learn a new language. Earn serious self-respect and confidence. 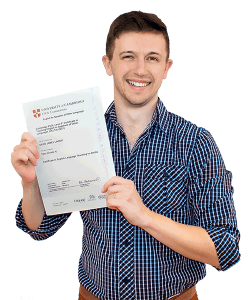 For many CELTA students just starting out, the certificate is primarily a way to break into the TEFL industry. That reason is perfectly valid but there are also loads of life-enriching skills and experiences that come with being a CELTA qualified English language teacher.